aFe Power is now offering the exclusive EURO MAF Coupling Upgrade that retains the ASC option on your 96'-99' BMW (E36) M3 L6-3.2L (S52). This upgrade kit retains the ASC throttle body when upgrading to a 3.5" EURO MAF sensor. This coupling upgrade was designed to work flawlessly with aFe's P/N: 51/54-12392, but it can also be used with other competitors intakes. The coupling is constructed of polyurethane for strength and durability. 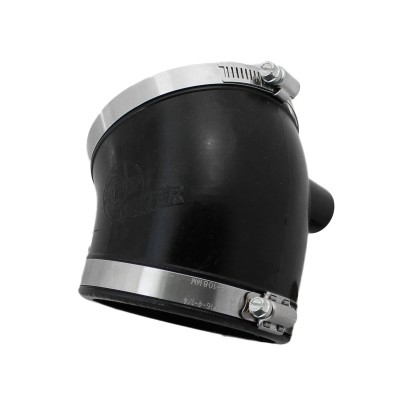 This engineered coupling upgrade increases air flow and velocity by controlling the air intake dynamics. This is a very simple bolt-on product and requires no cutting or drilling. *Note: This coupling upgrade is not CARB exempt at this time and is not legal for sale in California or use on vehicles registered with the California Department of Motor Vehicles.